You might have heard from almost all toppers, the importance of NCERT books in UPSC Civil Services Examination. Have you ever wondered why these school texts are so important for IAS exam which can be attempted by only graduates and above? Whether you do graduation, post-graduation or PhD, your school gives you the fundamental education. It is only upon this foundation, you build your higher studies. And, NCERT texts till Class 12 provides this fundamental education in the most simple and cost-effective manner. UPSC aspirants can now buy NCERT books online as online shopping players have started adding NCERT books to their shelves. Update: Now you can buy 40 NCERT books needed for UPSC exam preparation online as a set. If you are looking for hard copies of NCERT texts you can buy it from any good academic bookstore nearby. Also, you can buy NCERT books online from Flipkart, and get it delivered to the doorstep. NCERT books are very cheap when compared to many IAS books available in the market, but all of them are treasure houses of knowledge. If you are unable to find the required NCERT book in hard-copy format, you can go for the soft-copy version. All NCERT Books are available for free download from NCERT official website. Take the best out of it! You may download and make separate folders in your laptop as NCERT Books for Prelims and NCERT Books for Mains. Also remember that for Hindi medium students, there are Hindi versions available for all NCERT texts. Another category of useful texts are NIOS texts. NIOS corresponds to National Institute of Open Schooling. NIOS texts are very useful for subjects like Indian Culture. You can download NIOS texts for free. While NCERT and NIOS are school-level texts, IGNOU represents a higher version – graduation levels texts. Indira Gandhi National Open University (IGNOU) texts represents the next level of open-school, beyond NIOS. IGNOU books are especially useful for Mains papers like GS4 (Ethics), GS2 (International Relations) etc. You can download IGNOU texts for free from egyankosh website. How important are NCERT texts for UPSC Civil Services Exam? As mentioned before, NCERT texts are very helpful to get a strong foundation. NCERT and NIOS texts are famous for their simple, interesting and interactive style of content presentation. Though almost all NCERT and NIOS text books are useful for UPSC Civil Services Preparation, you can still prioritize them. Also note that though most of the NCERT books are useful for IAS exam, NCERT Books are not the end of the world. There are many areas outside the purview of NCERT texts (Eg: Ethics, Internal Security, Technology etc.) and for those areas you definitely need other IAS text books or newspapers. For subjects like Geography, there are no substitutes for NCERT books. Read NCERT books for geography from class 6-12, and you will start loving the subject! But for subjects like Polity and Economics, though NCERT texts are good, you might need extra texts to make your concepts clear (Eg: Laxmikanth for Indian Polity). Go beyond the usual NCERT texts and read subjects like Sociology and Political Science; it will surely aid a lot in IAS Mains Exam Preparation. Ancient India (class XI) authored by RS Sharma. Medieval India (class IX) authored by Satish Chandra. Modern India (class X) authored by Bipin Chandra. 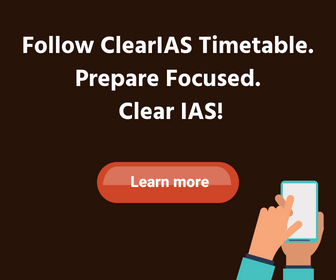 Clear IAS Online Study Materials and Notes. SIR what is the difference b/w chairman and ex-officio chairman? Ex-officio corresponds to holding a position or membership due to the power or influence of one’s office, and not by election or appointment to that particular post. For example, there is no election for chairman of Rajyasabha, but only for the vice-president of India. Vice-Predident of India becomes the ex-officio chairman of Rajya sabha. Sr,waiting ur valuable reply…much thanks..
As you have said, time to be an expert in any subject varies from person to person. Good to hear that you are now comfortable with optional and CSAT. That’s surely a good strategy. Try to finish the NCERTs (not all) related to topics mentioned in Prelims and Mains syllabus. Also refer ClearIAS.com online study materials at : https://www.clearias.com/ias-study-materials/ and selected books from the list https://www.clearias.com/ias-books/. thank u soooooo much sir…. unable to download yojana magazines..:( pls help.. I need to buy IGNOU history material sir..!! Pls tell me the exact name of these books..!! Thank u..!! Sir me upsc ki tayyari ke liye old ncert padhu ya new ncert.sir mujhe old ncert available nahi ho pa rahi hai. i want old english reader books which i used to study in class vi – viii if anybody have pl,. provide it to me. i will very thankful to u.
sir mujhe cgpsc ki starting Se taiyari krna hai esme liye mujhe khon sa books best hoga? Now you can download IGNOU Books and Study Materials with free of cost from given site without any need of registration so get it now. In an important clarification, the NCERT confirms to ParentCircle that the latest exercise relates to review of textbooks. 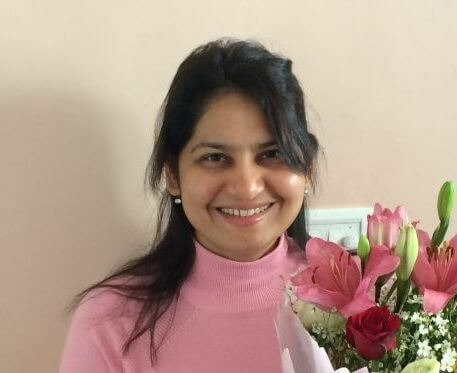 Read excerpts from an exclusive conversation with the spokesperson of NCERT.